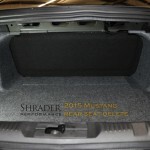 Categories: Ford Mustang, Ford Mustang '15-'18. 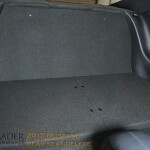 Tags: Ford Mustang, Rear Seat Delete, s550. 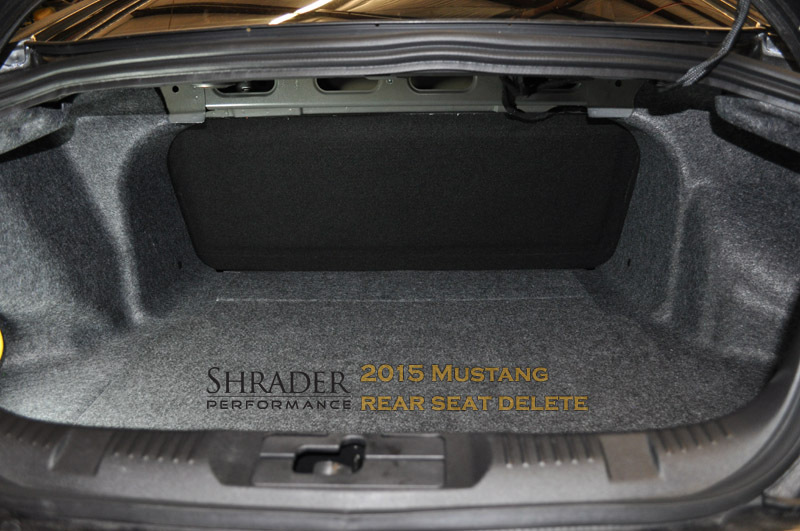 You can drop 30 pounds from your Mustang by installing our lightweight Rear Seat Delete kit manufactured exclusively by Shrader Performance. 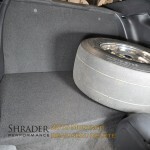 Our kits are designed to remove as much weight as possible but still retain a solid strong support. 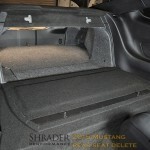 The back panel easily comes down for access to the trunk (a first in our Mustang designs) by popping out 2 plastic clips. 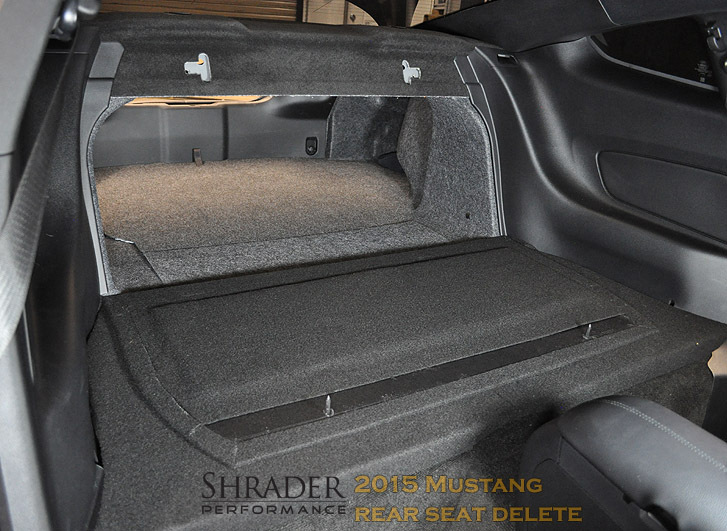 These very rigid molded plastic panels are strong enough for luggage, small animals, tires, and more. 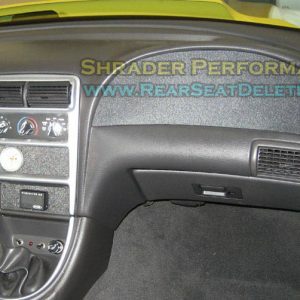 You need a quality component to go with the quality of your brand new Mustang. 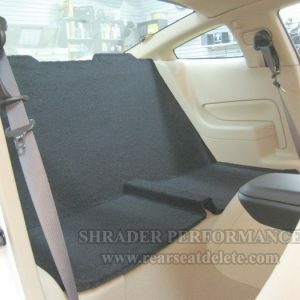 Also comes with sound insulation padding built into each panel! 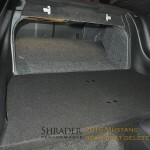 Even the trunk area has a finished look! No detail was spared in this newest showcase of our designs. Detailed instructions included. We use factory bolt holes for mounting. Black carpet only. 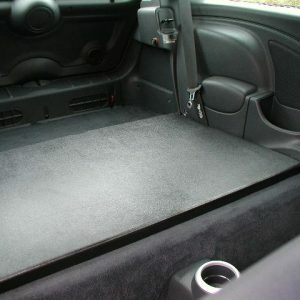 Hardtop Only. Does not fit convertibles. 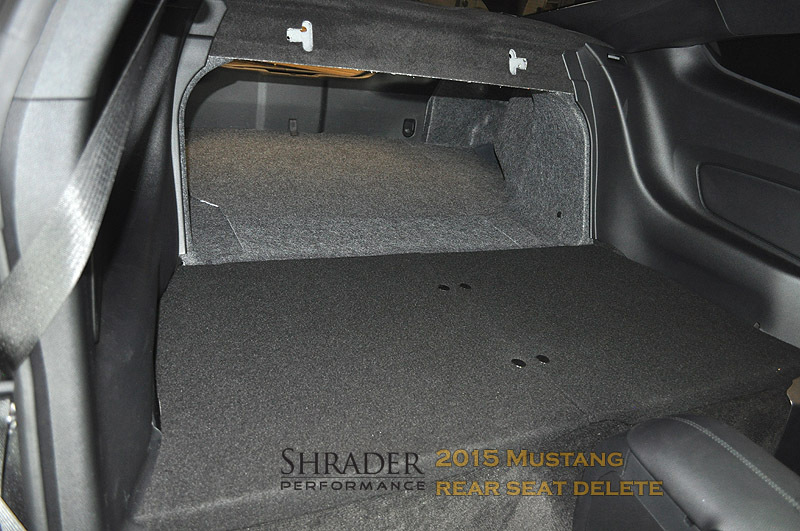 As seen in the 2016 SEMA show at the Ford Motor Company booth featured in the 2017 VMP Track Attack Mustang. 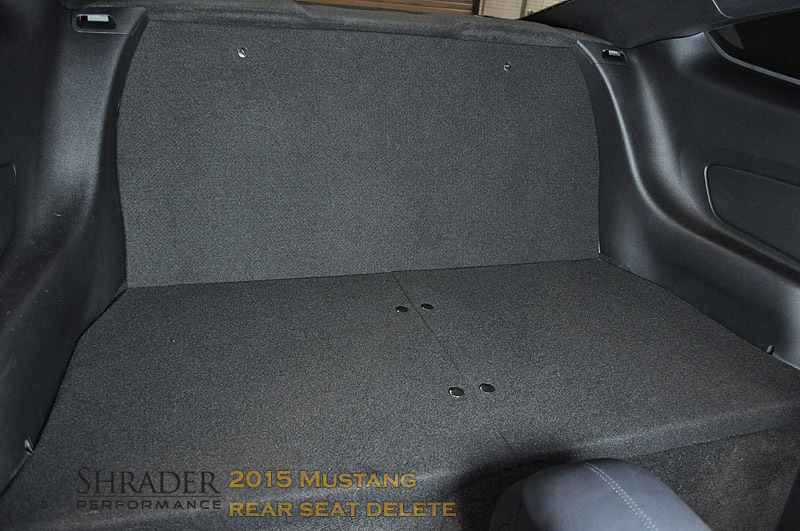 FITS: all 2015-2019 Mustang Fastback (hardtop). V6, GT, Ecoboost, GT350, etc. 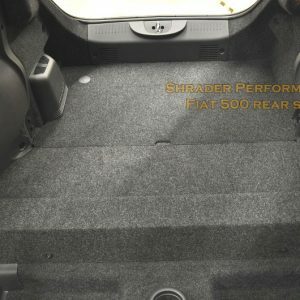 DOES NOT fit Convertibles. 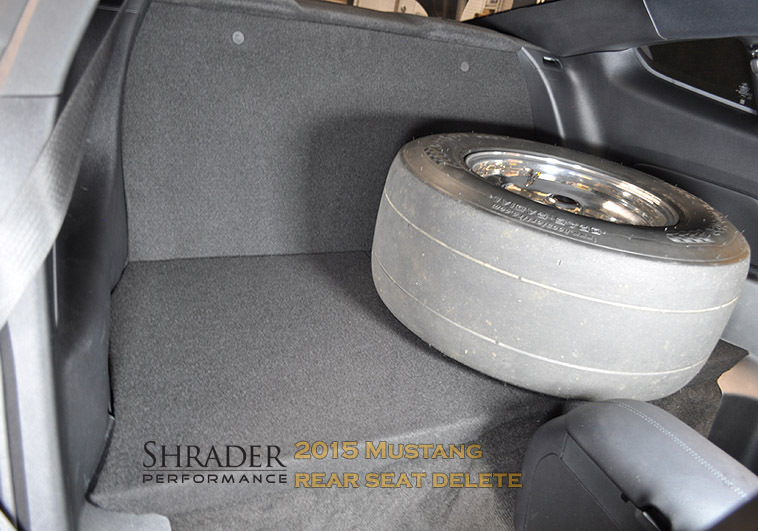 We tested the GT350 and confirmed fitment. SPECIAL TOOLS: Basic metric sockets, T40, and T50 Torx bits needed.